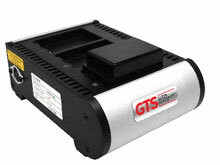 Global Technology Systems Universal Charger-Cradle - The HCH-7003-CHG is a 3-Bay Battery Charger for Symbol MC70 / MC75. Compatible batteries are HMC70-Li (22), HMC70-Li (36), HMC70-Li (48), and HMC70-Li (38). It utilizes the same mounting brackets as OEM chargers for easy wall mounting. A charging LED indicates charging status. It is made of highly rugged aerospace grade aluminum housing, and Includes power supplies and cable. 2 Year Warranty. The Global Technology Systems HCH-7003-CHG is also known as HWB-HCH7003CHG	or HCH7003CHG	.